A great example of how much food can be cultivated in a residential setting, this site includes six raised beds, a citrus hedge, a row of artichokes, wine barrels for blueberries, apples and pomegranates. 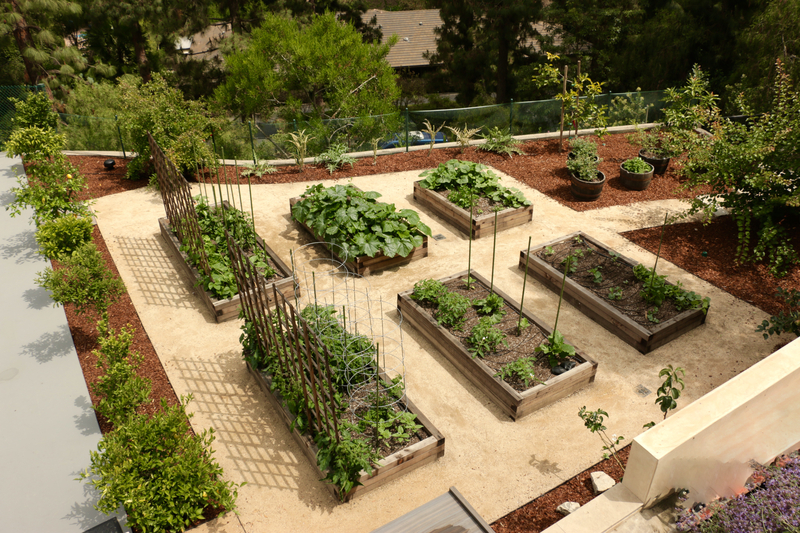 The raised beds are constructed with 4×4 timbers for a sturdier look and will age better as a result. Decomposed granite pathways provide convenient circulation throughout the garden space.